You are at:Home»2016 Holiday Gift Guide»Give Green Toys This Holiday Season! I am buying something here in the states. I feel I am supporting my own economy. All the toys are made with recycled plastic and it reduces our carbon footprint! It is great for our environment. All the toys are incredibly safe for my kids to play with. They are BPA, PVC, and phthalates free! They also meet all international toy safety standards. They encourage play that does not require your kids to be plugged in. No devices, just fun. These are just a few of the amazing reasons why I stand behind Green Toys. It is an incredible place to start when shopping for kids this holiday season. 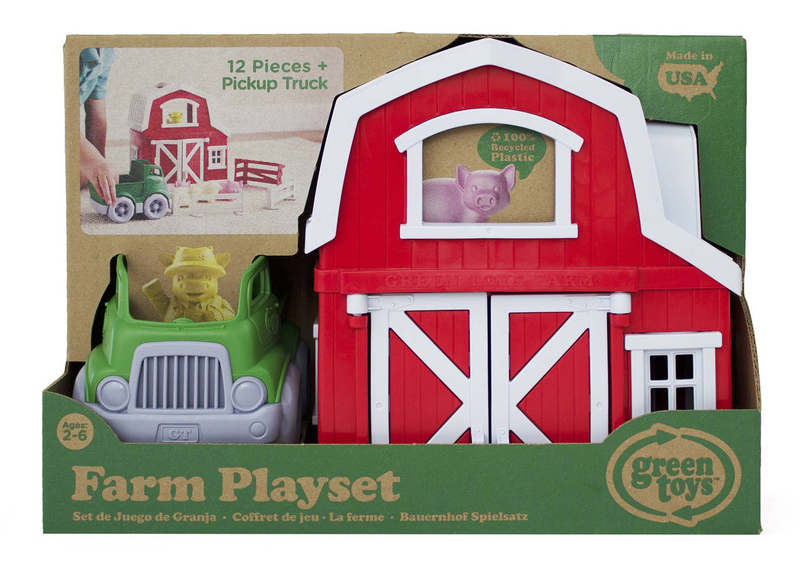 There are so many options when shopping Green Toys including playsets, puzzles and storybooks. A little bit of everything to make your shopping easier this holiday season. 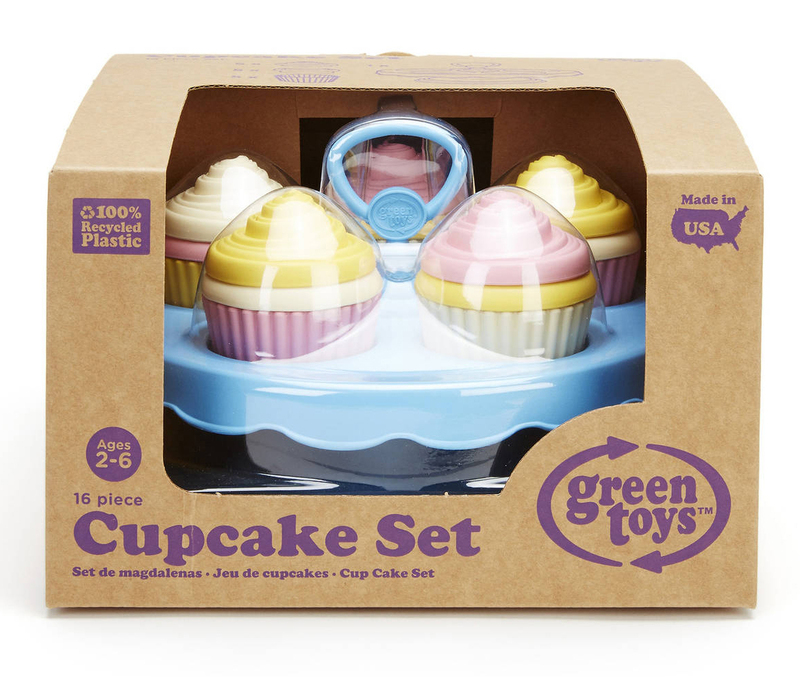 Recently my youngest new obsession is the Green Toys Cupcake Set. She gets to create her own cupcake patterns and that makes her pretty excited. Once she has created all the cupcakes the way she desires and puts them on the tray, we all get to enjoy some delicious cupcakes she has created. That is probably her favorite part. There are 16 pieces to this set and as a mother my first thought is that older kids would have to play with something, with that many pieces. Not even close, it is recommended for children 2-6! In saying that, my 3-year-old makes her 11-year-old sister create cupcakes with her. They enjoy the time together. My youngest also likes to put real cupcakes on her tray, and it can fit them and is completely safe to eat off of. I do not have to worry. The Cupcake Set helps with motor skills and counting as well. It is a complete win for everyone! As I said before, the first Green Toys my daughter received was of a boat. Well recently we have added another boat to the mix, and this one comes with a helicopter and 2 figures. 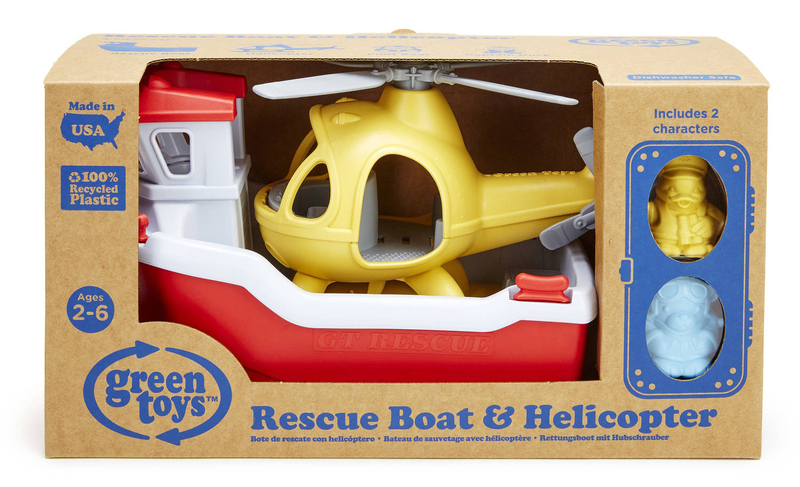 She is absolutely in love with Green Toys Rescue Boat & Helicopter. Bath time has never been an issue in our house and she is even more excited now to be able to include a helicopter in her playtime. She will sit in the tub and have both boats in the water and she flies the helicopter around saving one of her bath toys from danger. It is incredibly sweet and fun to watch and she even makes her sister join in for the fun. This toy is also suited for kids ages 2-6, but I am pretty sure my oldest even uses it in the tub. This is also not a bath tub specific tub, it can be used anywhere your kid wants to use their imagination! Now this last one has caused my daughter to skip several naps, as we have no toy room. This means all her toys are in her room and she does seem to want to just play with them instead of sleeping. She really loves Green Toys Farm Playset and the sounds of farm animals during “naptime” is a true statement to that. As a mother, my favorite part is that everything fits into the barn and then you can put the barn up. Easy cleanup and a nice way to store everything. Even has a convenient handle to carry it all around in. I dislike playsets that you are unable to close it up or the pieces will not store in it, when it is folded up. We have limited space in our home, so this is a great option for us. My daughter is an animal lover and she just loves playing with the pigs and sheep and of course the cow farmers. The Cow farmers did cause quiet a bit of laughter and they do not talk, they just Moo. Green toys makes an amazing gift with a big statement! Completely safe, recycled and made in USA! To top it all off, it encourages free play with their imaginations and not a device in their hands. There will be plenty of Green Toys given out to friends and family this year, and I know they will love them because my kids do! Perfect knife gift set for the cooking enthusiasts. Previous ArticleCatalyst case iPad, iPhone and a waterproof sleeve Giveaway.